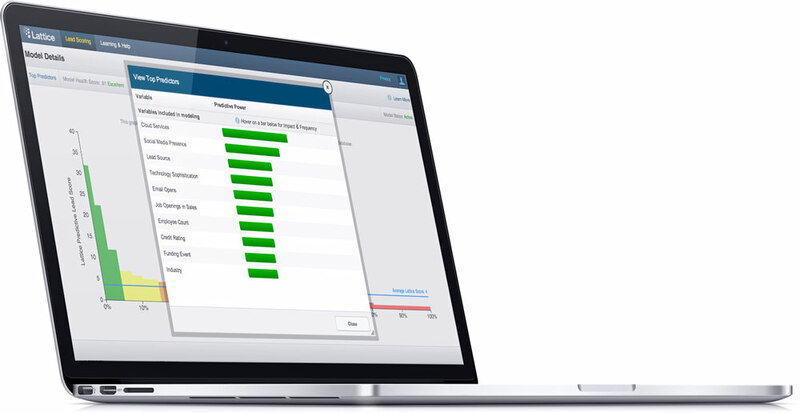 EverString, a predictive marketing vendor, has unveiled EverString Predictive Ad Targeting, a solution designed to bring an account-based and predictive approach to how B2B marketers target their ad spend through the help of predictive analytics. 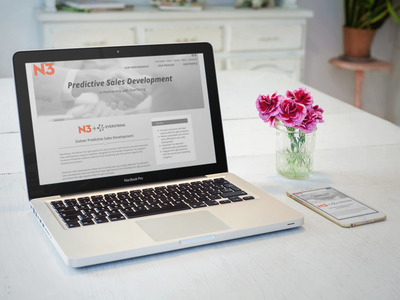 N3, a B2B sales execution and demand generation company, has partnered with EverString, a predictive analytics platform provider, to offer predictive sales development options for current and prospective clients. The promise of B2B data is unbridled. Thanks to first- and third-party data sources, marketing teams know more about their prospects and leads than ever before. Predictive analytics tools introduce even more data capabilities for today’s marketing leaders. With the right tools, marketers can discover untapped market opportunities, target audiences with greater precision and predict which prospects will become the best customers. Marketers have embraced the opportunity, with nearly two-thirds (64%) of business decision-makers implementing or upgrading predictive analytics solutions today or planning to do so in the next 12 months, according to a new report from Forrester’s Laura Ramos. While predictive models offer capabilities to transform insight into action, Forrester cautions CMOs against overly complex solutions. “Selecting the right solution means you must weigh the relative sophistication of your automation processes and team experience against the level of big data capability you are ready to absorb,” writes Ramos, lead Forrester analyst and author of the report. As a deluge of new solutions, with varying levels of data capabilities and resource requirements, are now making their way into CMOs’ inboxes, it can be challenging for non-technical marketers to pinpoint the tools and technologies that are best for their organizations. Here are three simple rules to guide the exploration of solutions that exist, regardless of familiarity with data science or statistical expertise. For marketers without advanced statistics backgrounds, data science will always be complex and perhaps daunting. While predictive solutions provide the answers to many big data woes, machine learning algorithms come with many complexities and moving parts. To predict real world scenarios, models often incorporate hundreds of variables, a multitude of algorithms, and dozens of first- and third-party data sources. Given the complexity inherent in big data solutions and required resources to generate usable outputs, how does one exert positive influence over such advanced deep learning and processing? With unlimited computing possibilities, what objectives and capabilities should be executed on first? And most immediate to the topic at hand: what tools should marketers select to enable the outcomes they need? Ramos encourages marketers to take a step back and master the basics. First focus on solutions that can enhance core, repeatable growth strategies before introducing new, far-stretched capabilities that have the potential to drain resources. She cautions that “despite growing enthusiasm for predictive analytics, technological advancements are outpacing the business' ability to put it to work.” The important thing is not to get overwhelmed or overreach and instead to remain focused on the greater plan and business goals. Recommendation: Seek out partners who have productized and developed superior front-end processes for what marketers are doing already: customer analytics, market segmentation, campaign planning and sales enablement. Solutions should amplify current marketing efforts and enable the goals that marketers have already established for their organizations. As Ramos points out, marketers are looking for an edge that can return big results. However, existing solutions — even if combined with vast data sources and other tools — can't deliver the speed and insight required by marketers to achieve explosive growth. 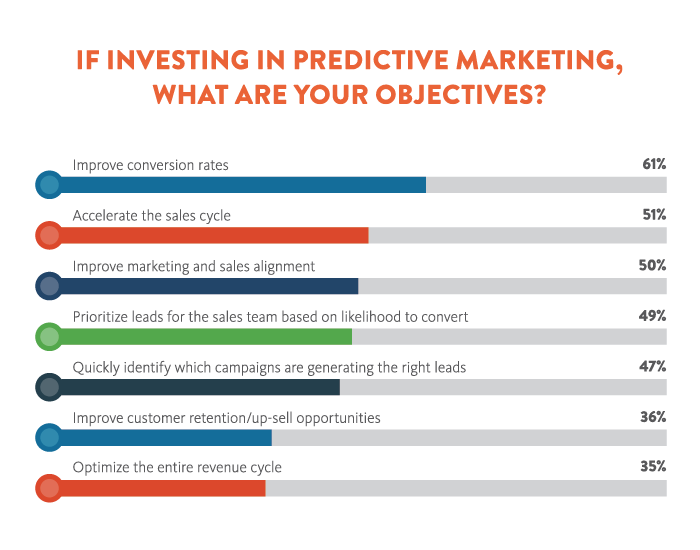 The report shows that many other predictive analytics use cases are often only focused on optimizing lead conversions. Often inward or backward looking, these solutions deliver incremental growth at best, and are most susceptible to campaign inertia. Unfettered by the confines of existing solutions, predictive models better support decision-making and have the potential to vastly improve on both cost and revenue. Even subtle adjustments can multiply reach and profits. Radius, for example, enables companies to discover new customers and markets with predictable and actionable success — insights that enable vastly greater outcomes than simply reiterating on past marketing efforts. Recommendation: Keep high level goals front of mind when assessing solutions for next-stage growth. Framing the analysis solely in the context of current solutions or marginal upgrades limits the outcomes that can be achieved. Ramos calls this mindset “short-sighted,” saying, “The real value of predictive marketing occurs when marketers apply it across the entire customer life cycle.” The biggest business impact will happen when marketers learn how to use data analytics to simultaneously target markets efficiently, streamline pipeline conversion, retain customers, grow lifetime account value and turn loyal customers into advocates. Predictive analytics are a means to an end — mechanisms to help grow the business and achieve marketing goals. For that reason, marketers need to first assess what success looks like for marketing initiatives in order to programmatically bring about the desired outcomes. While it isn’t necessary to have full-fledged hypotheses for exploratory campaigns, marketers should have a clear understanding of the questions they’re trying to answer and why they’re relevant to the businesses. They should start with overall company objectives and then get granular. On this point, Ramos is pretty clear about what not to do: don’t follow business technology’s big data lead. Don’t expect data or data technologies to answer the business challenges that have yet to be defined. And don’t expect technology partners to make sense of pools of data that may have been indiscriminately collected, even under the best or most earnest of intentions. Recommendation: For usable insights, lead the effort in defining desired data outputs, and then working with internal and external partners for help in designing solutions. It is the proverbial “you reap what you sow” put into action — that the insights from the efforts will only be as good as the structure that is initially put into place. Remember that today’s predictive analytics market is still in the very early stage. Marketers who are struggling to identify the "right" vendor and tools are not alone. The key to success with predictive analytics is knowing what your marketing organization needs. Often, you won’t know unless you try software for yourself — before making the decision to deploy a solution at a larger scale. It’s important to remain laser focused on major goals and test before you buy. As SVP of Marketing at Radius, Angela Zener brings 15-plus years of experience in marketing. 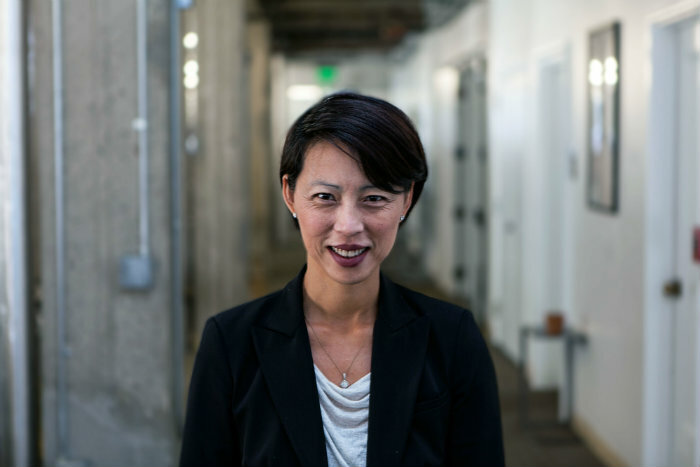 She has led teams responsible for launching global product lines across cloud, social and mobile for companies such as SAP, LexisNexis, and Findly. Radius announced $50 million in Series D funding that the company intends to use to scale its predictive marketing software platform and meet the growing demand for its solutions. This investment will be applied toward further development of the Radius Predictive Marketing Software platform as well as the company’s proprietary data science engine and data cloud. The funds come during a time of notable growth for the company, with its revenue increasing by more than 400% in the past year. The company has also doubled the number of employees during that period. 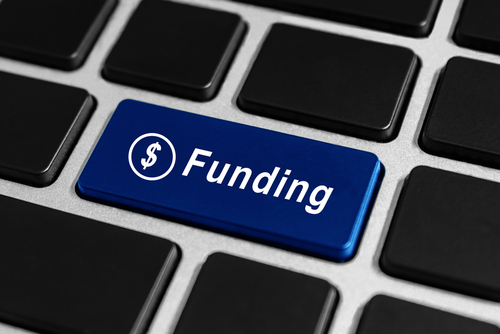 The latest round of investment was led by Founders Fund, which brings Radius' total funding to $125 million. “The expectation is that ‘the data is out there,’ but no matter how many tools, scientists, or databases they acquire, CMOs struggle to gain the insights necessary to effectively pursue the largest market opportunities,” said Darian Shirazi, CEO and founder of Radius. 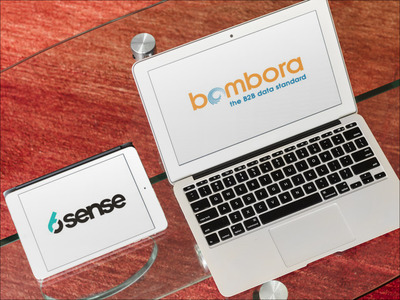 6sense announced a partnership with Bombora intended to provide an integrated predictive solution for account-based marketing and real-time targeting of digital display ads. The integrated solution uses purchasing signals and predictive data to segment prospects by buying stage and display relevant ads. As buyers interact with campaigns or websites, those behaviors are shared with the predictive intelligence platform. This feature intends to make messaging cohesive and update in real time based on buyers’ needs. "By integrating predictively scored companies, and key contacts within those companies into campaigns as a single solution, we help our customers reach the right prospects with relevant content, at scale, with no extra work on their part," said Amanda Kahlow, CEO and Founder of 6sense. As buyers interact with campaigns or websites, those behaviors are shared with the predictive intelligence platform. This feature intends to make messaging cohesive and updates in real time based on buyers’ needs. “By integrating predictively scored companies, and key contacts within those companies into campaigns as a single solution, we help our customers reach the right prospects with relevant content, at scale, with no extra work on their part,” said Amanda Kahlow, CEO and Founder of 6sense. Lattice Engines announced its partnership with Stein IAS, a global B2B marketing agency. The partnership is designed to offer predictive analytics services to Stein IAS clients and position Lattice Engines to expand its global offerings to the UK. The partnership intends to provide Stein IAS clients with predictive insights that can enhance targeting capabilities and boost brand messaging to prospective buyers. "With our broad spectrum of buying signals, marketing and sales teams can gather more accurate insights and achieve greater success in converting potential customers," said Michael Meinhardt, VP of Business Development and Strategic Alliances at Lattice. While it is not a new strategy, account-based marketing has recently become a critical part of the marketing mix. More than 90% of marketers believe that account-based marketing is a “must-have,” according to SiriusDecisions’ 2015 State of Account-Based Marketing (ABM) Study. While just 20% of respondents are currently using an ABM approach, 60% expect to adopt a targeted account approach over the next year, according to the survey. "Account-based marketing has been a viable and successful strategy for B2B for the past decade, but the tools that are available now make it much more attractive to implement," said Megan Heuer, VP and Group Director at SiriusDecisions, in an interview with Demand Gen Report. "There is a greater opportunity to take advantage of ABM because today's technology makes it much less labor intensive." Using predictive tools from Lattice Engines, Demandbase identified the key characteristics of its closed accounts and late-stage pipeline. Armed with that data, the sales and marketing team then developed a list of target accounts. The result was a 75% increase in close rates and 72% increase in average selling price compared to accounts identified through traditional lead scoring tactics. Funnel velocity (i.e., how quickly an account moved from MQL to close). Using buyer intent data is a critical component of predicting which accounts are more likely to purchase, according to observers. “If you have an account in which for the past few weeks, multiple contacts have been researching a new phone system and downloading white papers about new phone systems, that not only tells you if they meet your buyer criteria, but it tells you they’re in the market now,” said Alison Murdock, VP of Marketing for 6sense. CSC, a provider of IT products and services, is piloting a predictive platform in partnership with 6sense to identify new buying intent within its strategic accounts as well as new business opportunities. CSC uses models and digital buying signals to understand if a specific targeted account is showing increased interest in a particular solution area. The marketing and sales teams then work together on a coordinated approach. Overlaying predictive analytics with other attributes of successful accounts can help marketers further target their messaging. “This has helped many of our clients have more fact-based and relevant conversations with their targeted accounts,” said Lattice’s Chokshi. Chokshi noted that one client, a tech consulting firm, has used predictive tools to identify target accounts that have had a recent change in IT leadership. The firm then developed specific content for those specific accounts. In another client example, Chokshi said a storage device manufacturer determined that companies that have recently invested in content management systems are more likely to buy than companies with other characteristics. They targeted those accounts with use cases around the role of storage needs and content management. The future of ABM will likely involve tighter integration with CRM, marketing automation and additional tools for more precise ad targeting. Radius, a predictive marketing software company, has expanded its marketing and sales executive team. 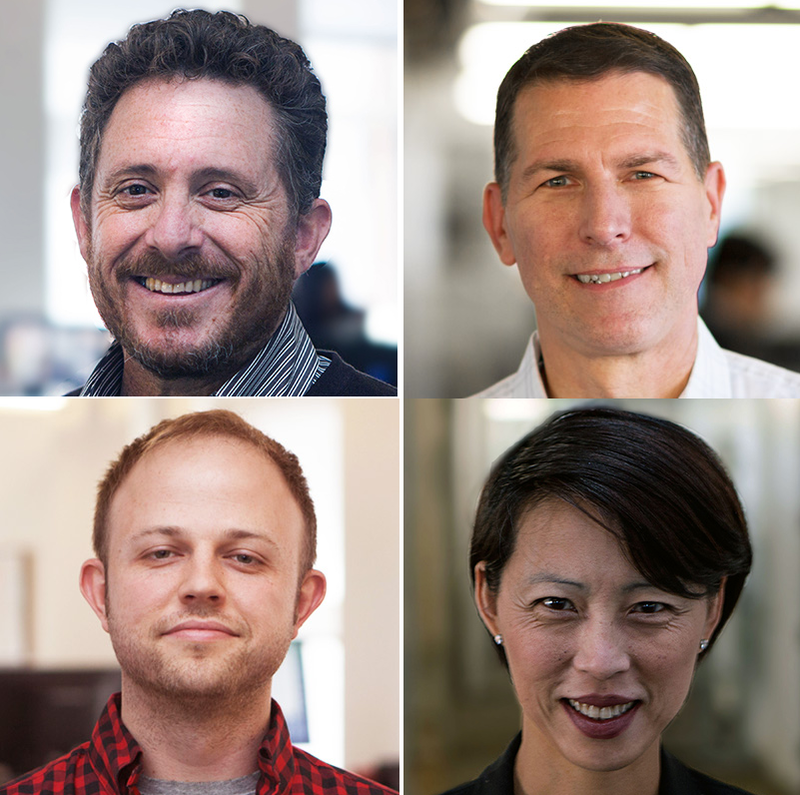 The four new members of the executive team are David Obrand, COO; Jerry Clarno, VP of Sales; Andrew Garvin, Senior VP of Strategy; and Angela Zener, Senior VP of Marketing. Obrand was previously Chief Customer Officer at Yammer. He also served as CEO of Fuze, a creator of cloud-based communication technology. Obrand also spent a decade at Salesforce in senior sales roles. Clarno brings more than 20 years of experience building and scaling sales teams, including stints at Box, SuccessFactors, OneLogin and FedEx. Garvin come to Radius after working with Peter Thiel and Ajay Royan on the launch of Mithril, a growth stage venture fund with $540 million in assets under management. Zener brings more than 15 years of experience in marketing and management consulting and has successfully taken many new enterprise software offerings to market.